Abd Haq BENGELOUNE, bio-medical engineer, began a distinguished career in Aix-en Provence within the biomedical industry before noticing the numerous skin problems suffered by her close relatives, mainly the women surrounding her. Born from a Senegalese mother and a Moroccan father, the young entrepreneur decided to create the IN’OYA Lab, driven by research into black and dark skin, with the goal of combining the power of science with the wish to bring out afro-caribbean beauty. Often abandoned by large brands, black and dark skinned people require specific dermocosmetic care that is tailored for them. Contrary to popular belief: “Black and dark skin are far more brittle than caucasian skin. The scar of an acne spot or a sun spot, can last for years on black and dark skin”, explains M. BENGELOUNE. The only remedy for these people has been products based on hydroquinone with dangerous side effects. Thus inspired by the African goddess “OYA”, the challenge was taken on by the founder and president of the IN’OYA lab. Now every woman can make use ofan effective cosmetic treatment with no side effects. And women know as well as anyone that an adapted skin care ritual for their specific skin type is essential in order to enjoy a perfect complexion. Look no further, IN’OYA has done this by launching their “complexion correcting” range, of innovative dermocosmetic skin care, specific to black and dark skin. In 2001, in order to understand the mechanism which causes albinism in black people (OCA type 3 or rufous), different genes were studied by researchers in the French scientific community (CNRS / INSERM). Thanks to the contribution of genetic engineering, different enzymes specific to pigmented skin have been discovered. The study of the functionality mechanisms of these enzymes allows us to better understand the phenomenon of melanogenesis in black people. In 2010, the IN’OYA Lab, founded by Abd Haq BENGELOUNE, based on their investigations into genetic engineering, committed to conduct research to create the number 1 correcting skin care product, which is actually effective and has no side effects, taking into account the specific genes of people with pigmented skin. 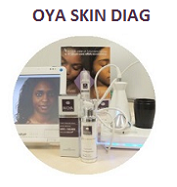 In 2013, IN'OYA provided black and dark skinned women with skin diagnostics via their "OYA SKIN DIAG" tool, specifically designed for pigmented skin and capable of carrying out different tests to determine: hydration levels, sebumetry, pigment spots... At the cutting edge of technology, this tool offers women a complete beauty prescription. 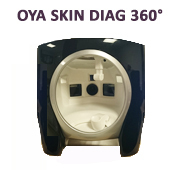 In 2015, in partnership with American collaborators, IN’OYA inaugurated the "OYA SKIN DIAG 360°" offering an unrivalled innovation in technology in order to always offer the best in terms of personalised skin diagnostics. 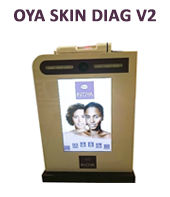 In the rest of 2015, IN'OYA continued to innovate by providing "OYA SKIN DIAG V2", in order to provide an even more elaborate technology for their events, which would allow a precise and personalised diagnostic to be carried out, adapted to the specific needs of black and dark skin.